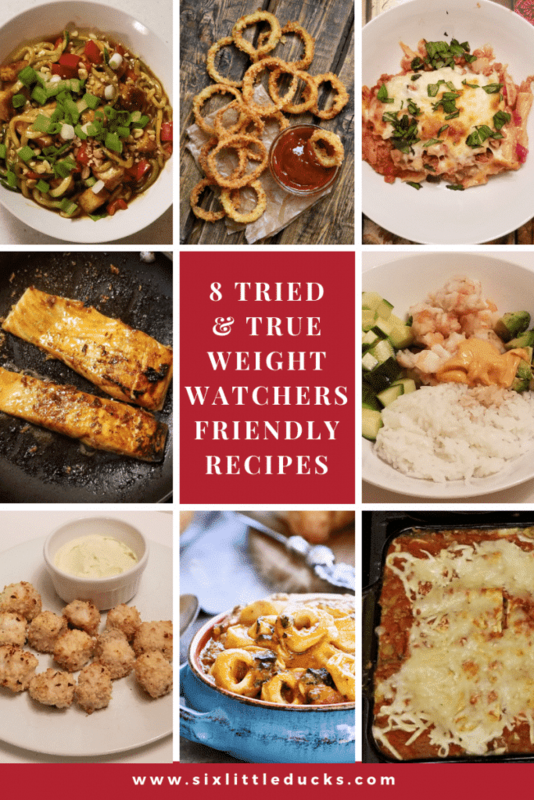 My journey to losing 70 pounds took me about 10 months and of the most important factors in that journey was finding delicious and Weight Watchers friendly recipes. I gathered a long list of recipes, many of which became favorites and “tried and true”. These recipes are ones that frequently appear on my dinner table. 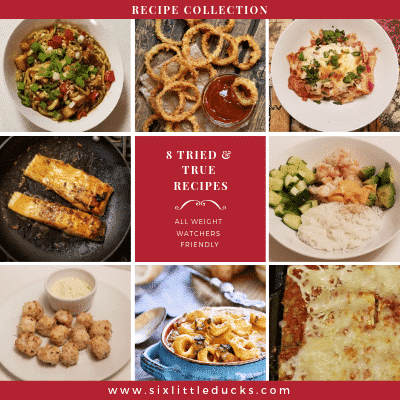 Skinnytaste – This is by far my most favorite website for Weight Watchers friendly recipes. You can find any type of cuisine here, all of which include Weight Watchers Points information and nutritional information. Don't forget to bookmark this website. Once you try a few recipes, you'll definitely be coming back for more! Emily Bites – This website is a close second to Skinnytaste for favorite recipes. Similar to Skinnytaste, Emily Bites has a little bit of everything, as well as being able to search by the number of Points you want to “spend” on a recipe. She includes Weight Watchers Points information in addition to nutritional information. Definitely bookmark this website for hours of perusing. You can download all these recipes by clicking the box below. Get all 8 recipes now! Want to remember these recipes? Post them to your favorite Pinterest board! Thanks Eleanor, I hope you enjoy them!